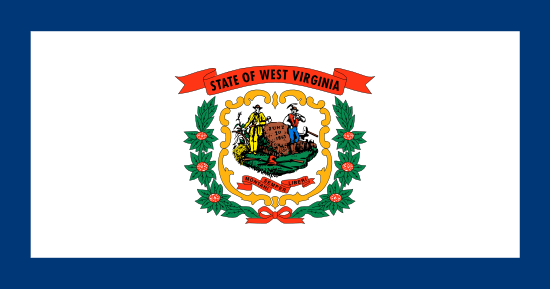 West Virginia is synonymous with coal mining and the Appalachian Mountains in the mind of the average American, and most never consider the sports betting industry or its impact on the region. As it turns out, there isn’t a great deal of impact to ponder, as West Virginia is definitely one of the more limited areas when it comes to gambling opportunities. • Marshall University – The Thundering Herd fields 15 different varsity teams, and their football program has won two Division I-AA national championships. As of 2015, their overall bowl record is 9-3. • West Virginia University – While the Mountaineers have never won a national title in football or basketball, they’ve been close on a few occasions. Their biggest point of pride comes in the area of shooting, as their rifle program has captured 16 NCAA championships as of 2014. Once a year, even residents of West Virginia who normally hate sports may find themselves in the grip of NCAA basketball’s March Madness. Office workers commonly pool their money to see who can make the most accurate tournament bracket, and friends and co-workers exchange varying sums of money in the form of friendly side wagers. If you’re a resident of the state with a passion for gambling, this is arguably the best month of the year. There are no major sports franchises in West Virginia, and a lot of this has to do with the state’s limited population. At slightly over 100,000 residents, Green Bay, Wisconsin is the smallest city to host an NFL franchise. Compare that to the 51,371 in the state’s most populous city of Charleston, and you begin to see the problem. There’s also the matter of the economy and related factors. West Virginia is a poor state with declining wages, population, and employment opportunities. This is exactly the opposite of what the NFL, NBA, MLB, and NHL look for when awarding franchises. In order to wager on sports from within the boundaries of West Virginia, your best bet is to find a quality online sportsbook. While many customers would feel more comfortable doing business with a company based in the United States, the Federal Wire Act and Unlawful Internet Gambling Enforcement Act have eliminated these options and forced customer to look beyond the borders of America. Luckily, there are plenty of offshore bookmakers who are still willing to accept American players, although customers may have to jump through a few hoops in order to find acceptable methods of deposit and withdrawal. The UIGEA is to blame for this difficulty, as it prohibits financial transactions for the express purpose of gambling. These problems are not insurmountable, however, and anyone wishing to wager on sports should be able to do so without a great amount of fuss. Even if you’re operating in murky legal territory, the laws are designed to punish corporate entities and not private citizens. If you want to wager on sports but online gambling version isn’t an option, there are still several possibilities available. In this section, we’ll look at a few of the most common sports betting alternatives for those living within the state of West Virginia. • Option #1 – Bet with a Buddy – I’ve known guys who would wager on the outcome of coin tosses to pass the time and get their gambling fix, so you shouldn’t have any trouble finding a pal to make bets with. Sometimes the wagers may simply be over who wins and who loses, while more advanced punters often factor in odds. Whatever the case, I urge you to make sure your friend can cover his bets before engaging in such activities. Otherwise, it can put your relationship in an uncomfortable grey area. • Option #2 – Find a Local Bookie – Major cities are crawling with illegal bookies, and even smaller areas can have them. When I was just out of high school, I remember a bookie operating in my hometown of around 10,000, and he seemed especially popular with the members of the local golf club. These individuals can vary in skill and honesty, so it’s always something of a risky proposition. There’s also the fact that it’s patently illegal, although the bookie is far more likely to get in trouble than his customers. • Option #3 – Drive to Delaware – Most people think of Las Vegas as having a monopoly on sports betting within the United States, but that’s not the case. Three other states are legally granted the right to accept wagers, and the closest one to West Virginia is Delaware. According to our pals at Google, it takes about 6 hours and 47 minutes to drive from Charleston, West Virginia to Dover, Delaware using a combination of I-79 North and I-68 East. If you’re bound and determined to wager on sports in person, take a scenic drive through Virginia and Maryland. West Virginia hasn’t tried to be a gambling wasteland, but it’s become one anyway due to factors such as a small urban population and struggling economy. Sure, there are semi-pro and amateur teams to wager on, but this is something that you’ll have to do face-to-face with other gamblers. At least the state has a couple of college teams to follow, but that’s small consolation when you consider what’s available to residents of neighboring states. Fortunately, the availability of Internet sports betting creates an opportunity to wager on leagues outside of semi-pro soccer. By finding a reliable site that accepts U.S customers, you’ll be able to risk your cash on every major sports event taking place on the planet.